Question: What is the first thing you need in order to think outside the box? Boxes, boundaries and borders get a very bad rap in popular culture where they often represent inflexibility, limitations on freedom, or bureaucratic small-mindedness. But the truth is we need structure…to define our organizations, to order how we go to market, to insure processes are efficient and fair and for many other things. For most human associations, well-made “boxes” are vital assets. It is so for businesses, non-profits, churches, civic organizations, government agencies, teams, and so on, but it is especially so for large enterprises. That is not to suggest that structural borders always make sense. Consider the map of Africa. When Otto Von Bismarck called together the Berlin Conference of 1884 it was ostensibly to deal with slavery and escalating trade disputes in Africa but in fact its principal effort centered on realizing the complete European colonization of the continent. Over three months, European diplomats, many of whom had never been to Africa, drew boundaries for approximately 50 new African client states whose primary rationale for existing was to define the spheres of interests of their great European overlords. Much has been written on the imperialistic arrogance of the Berlin Conference boundary makers but what has always been more memorable to me was their sheer indifference to local reality. The new national borders included straight lines running for thousands of miles in complete disregard of natural geographical boundaries, cultural affinities, language, and other realistic inputs. 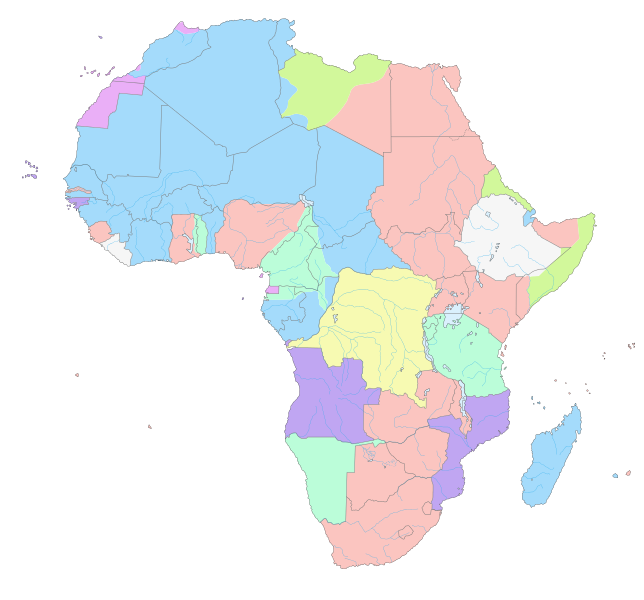 Diplomats sat in Berlin conference rooms and divided the continent into national boxes that satisfied their own interests but bore no resemblance to natural African division. Even today Africa remains beset with political instability and tribal violence resulting from these inapt historical borders. A French proverb states “it’s all very well in practice but it will never work in theory”. Boundaries work best when built from reality in, not from theory out. For example, in my former industry, telecommunications, the traditional division between business and personal cellular user disappeared and yet the carriers were unable or unwilling to align appropriate organizational and go-to-market boundaries that reflect that compelling market reality. We persisted in viewing our customers conveniently to us; it is not how our customers viewed themselves. No organizational structure, channel strategy or sales model is perfect; all have shortfalls and unintended consequences. Our choice is to accept the imperfections and tradeoffs of our current structure or replace it with a different set of imperfections and trade-offs from a new one. That is the only choice. There is no option in the real world that allows for perfection. We have no more chance of finding it than the conquistadores did El Dorado. Acknowledging imperfection will also make the inevitable criticism that comes our way seem exactly that…inevitable. We won’t be surprised or defensive about our shortfalls; we can defend them for what they are, the intentional price we pay for the best imperfect solution we can create. Structure is the means to an end, it is not an end in itself. The end is enabling the most value out of your human resource. Get good people, build smart processes and let them contribute. They will creatively align to any variety of corporate structures so long as they have the expectation that the structure will be around long enough to justify their effort in adapting to it. I have worked in enterprises that changed organization structures, sales territories, and market definitions like socks. But even bad borders are difficult and costly to change so make your border choices to last. That structure designed to fix your short term revenue growth problem may look pretty silly two quarters from now when your shareholders are worried about profitability. It is often out of your control but insofar as it is up to you, build for the long haul. There is great appeal in being the guy who thinks outside the box. But far more valuable to any human organization is the guy who designs the very best box in the first place.